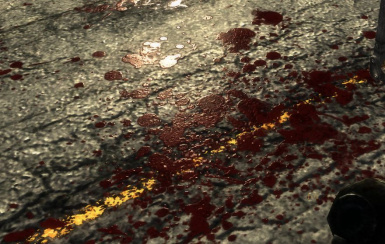 Increases the resolution size from 256 to 1024 and created new textures for screen, world, wounds and static blood decals. 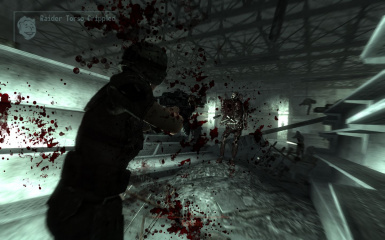 Esps are used to increase the size appearance of the blood, adjustments for screenblood, add more giblets and new wounds related to the weapon type. ini will change max amount and lifetime for blood that is in the world space. 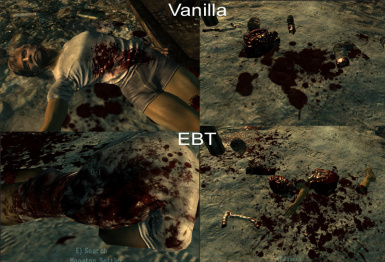 Blood/gib color may appear differently than intended if you are using any lighting or weather mods. -First press and hold "o" until a menu pops up. 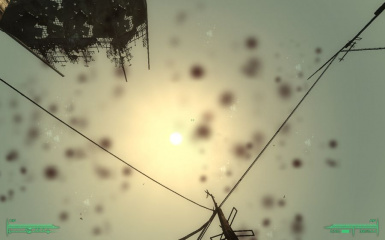 If you have issue with Decap Splatters not working try disabling anti-aliasing. This is a game engine problem that will apply noise filter on the outer edges of these textures. This will affect all particle effects including muzzle flashes and explosions. This problem was fixed in an earlier game patch I believe it is 1.2 but then broke again around 1.5 patch. If you notice wounds not appearing it could be that you are using a body mod. It depends if the body mod is made to support wounds properly. 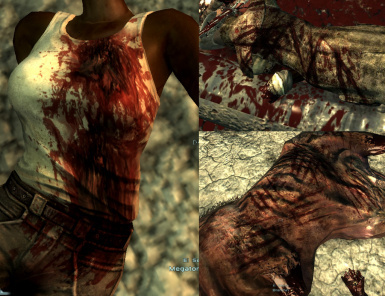 Even without this mod, wounds will not appear. Random flashing white dot on blood. 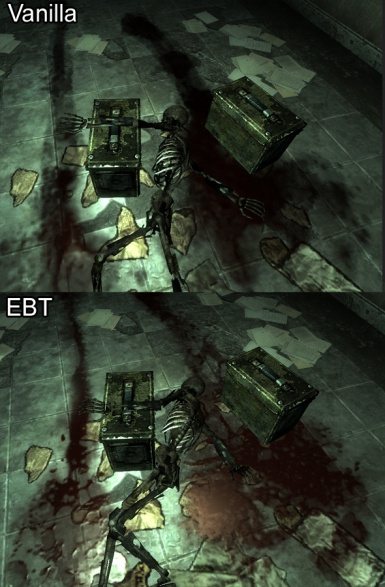 This is an ATI video card issue default blood will have the same affect. 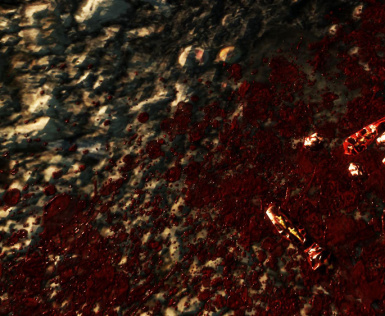 -Added a new screen blood texture to be used with dD-Full Screen Blood.esp. 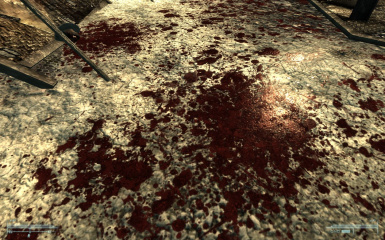 Blood will splatter across the screen but will be removed within 0.8 seconds. Acts more like a hit indicator. 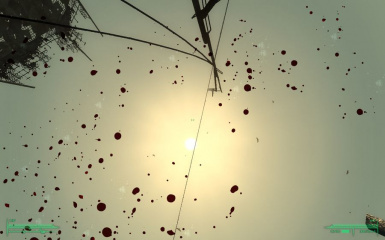 -Added Smaller Splatters default.esp: Splatters will match with the default size. -Reduced missing values on human ragdolls for "Reduced Dismember Force.esp" and "Reduced Ragdoll Force.esp"
-Reduced main max size for spatters by 10 and screen fade time to 5. -Reverted gore color but slightly brighter and applied higher res. normal map. -First you need bInvalidateOlderFiles to be 1 which should be active by now if you've been using mods. 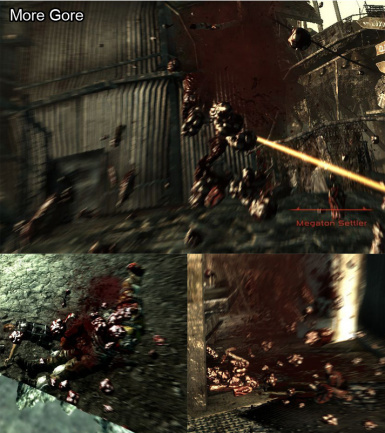 "Extract" data folder into your fallout 3 directory. Open rar file that you want to use. Extract the data folder inside the rar into your fallout 3 directory. Main will change blood splatter size, screen blood settings, add unique wounds and size based on weapon type, and add missing wound texture data to weapons and creatures that didn't have one. Following files are all optional! This will change the screen blood. The main file removal time is 5 seconds. Those need to be loaded after the Main file. Reduces the time it takes for the blood to be removed from screen. Recommend "Screen Blood for Full Screen" textures to be used with this. Blood will fill the whole screen but will be removed within 0.8 seconds. Acts somewhat like a hit indicator. Reverts screen settings back to vanilla default. 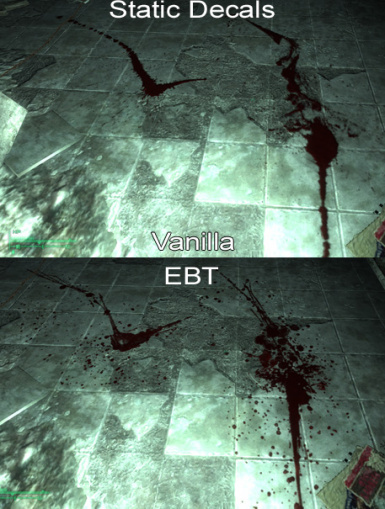 You need to either use Alt screen texture 2 or delete the new screen blood textures. Increases the size and amount of unsearchable giblets when body parts explode; including robots. Activate the files according to the DLCs that you have. Those files are optional you don't need to use those. Those plugins are not compatible with other mods that change the hit percentage or damage on certain limbs on characters! If there is a conflict the damage and hit percentage will not match correctly. Adds more unsearchable giblets when body parts explode. Reduces the amount of force used when body parts explode. Recommended to be used alongside More Gore.esp. Reduces the force of ragdolls when killed. Load those after the main file. 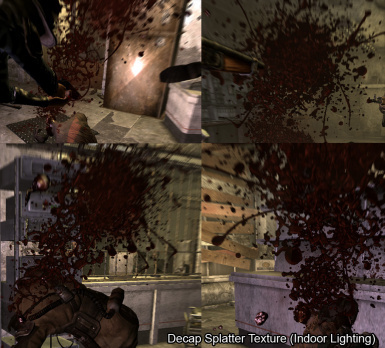 Reduces the size of splatters to a more realistic level. affects all hits.